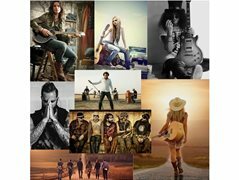 A brilliant opportunity for musicians to create their "Album Cover" image for free!! Looking for male models who can carry out the 'I'm a rock star' kind of look. Looking for good looking female models who can carry out the 'I'm a rock star' kind of look.